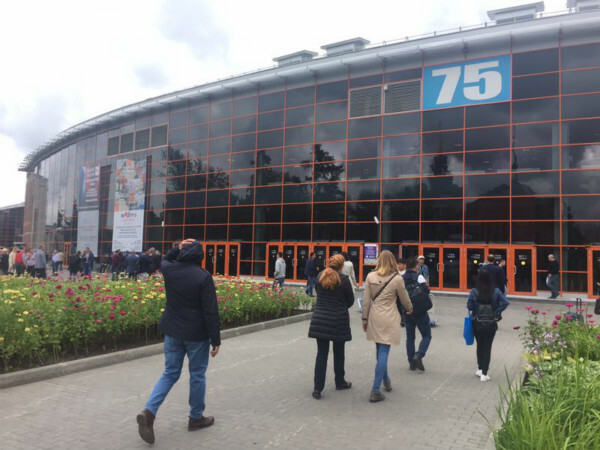 International Homeland Security Exhibition “Interpolitex 2017” was held in Moscow in the territory of the All-Russian Exhibition Centre VDNH, Pavilion 75 from 17 to 2o October 2017.The Exhibition was organized by the Russian Federation Ministry of Internal Affairs, Russian Federal Security Service, Federal Service of National Guard of the Russian Federation. 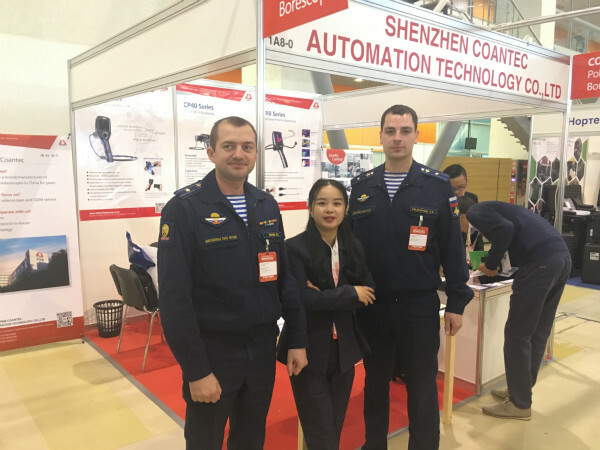 The largest in Russia homeland security exhibition is the unique exhibition event in Russia in the field of security, having a Federal status and importance is held annually in order to give suppliers and users of up-to-date special technical means and armaments an effective tool for solution of promotional and marketing tasks, market monitoring and bargaining. 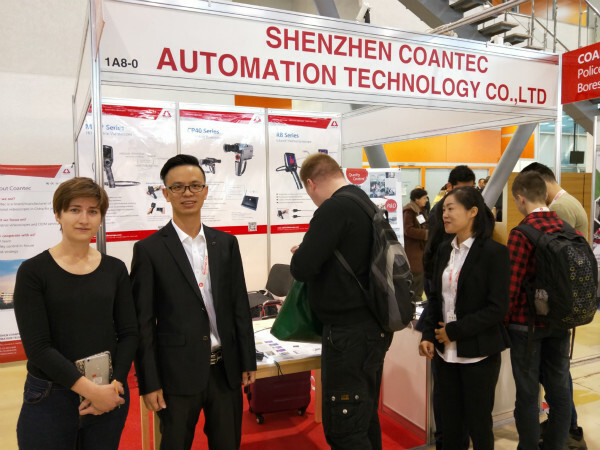 As a famous brand in the video endoscope industry,Coantec took part in the grand meeting. 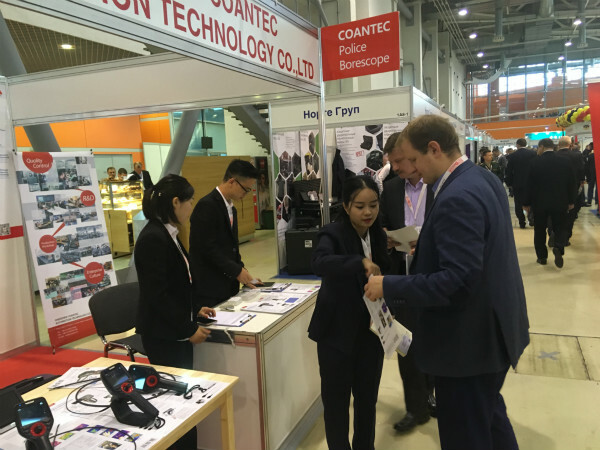 The exhibition focused on Coantec's variety of police borescopes,including Coantec RB Infrared Thermal Borescope, Coantec M3-P Police Borescope , Coantec CP40 Police Borescope.In the four days show, the booth of Coantec attracted much attention of domestic and foreign merchants. 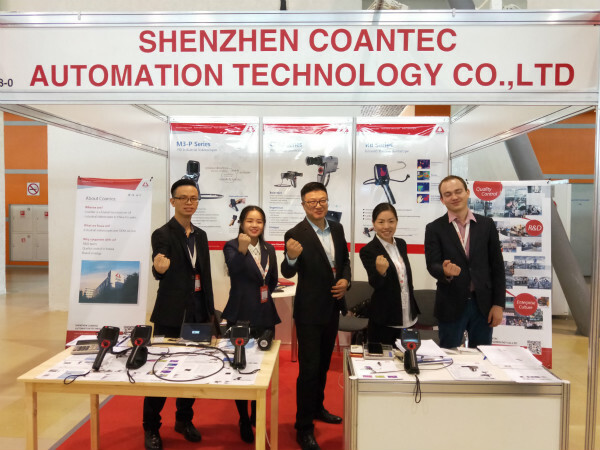 Many clients have carried out detailed consultation on the spot, and the staffs of Coantec had always been full of enthusiasm, patience during the communication,many customers finally hoped to get an opportunity to cooperate with Coantec . 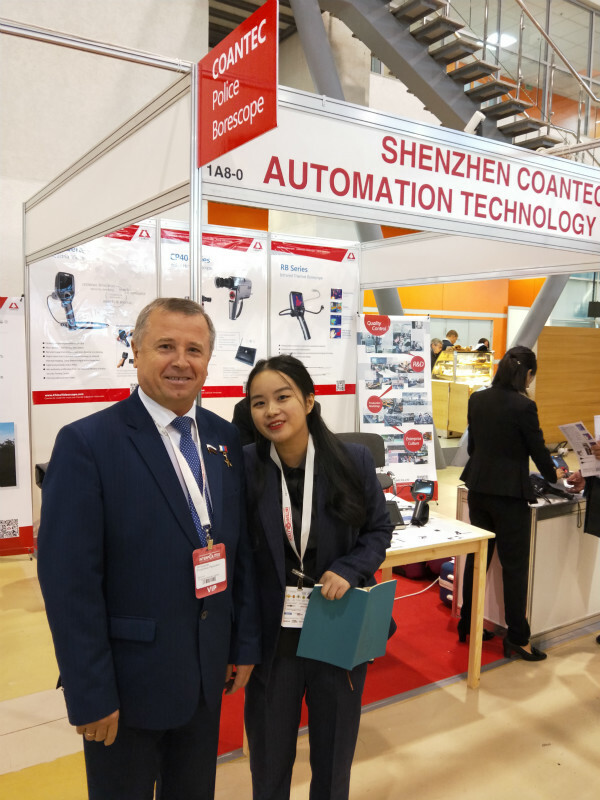 We have to say that this is not only a feast of the industry, but also a trip to receive fruits.This event has enabled Coantec to open up an international perspective, which has brought new opportunities for the future development of Coantec. Coantec has reached deep cooperation with many international tycoons. Believe that the win-win situation will make Coantec stand out of the forest in the world .